Hawk HB250F.653 - Hawk Brake Pads HPS Compound Rear Set Camaro V8 / V6; 1998-2002. 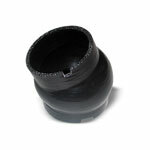 HPS (High Performance Street) Compound - provides advanced braking characteristics to enhance your driving experience. High performance street pads that are race worthy. All Hawk pads are compatible with factory brakes & A.B.S. systems. History and information about Hawk and their products. Want a new performance brake pad and rotor? You won&apos;t go wrong with a Hawk brake pads and Hawk brake rotors for ultra-low dust and low noise, a quieter braking pad. 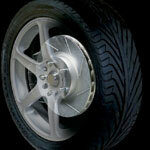 Alloy wheel designs demand a low dust performance product. You get that with Hawk brake pads and Hawk brake rotors. The High Performance Street brake pads don&apos;t get better than the Hawk Performance&apos;s HPS braking compound. 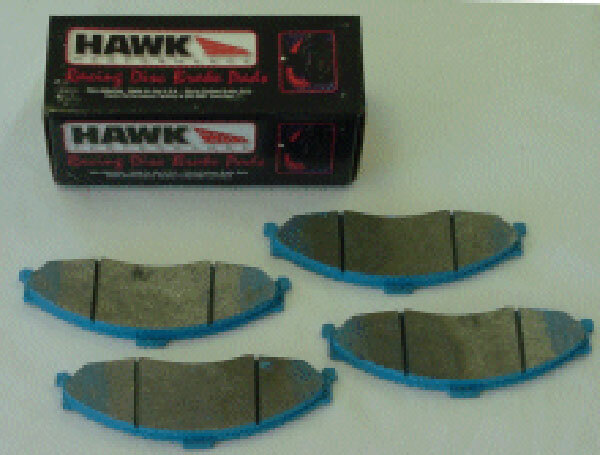 The unique formula used in these Hawk brake pads and Hawk brake rotors can provide 20-40% more stopping power and much more durable pad with less dust. For Autocross and Track Day driving try to Hawk Performance HP Plus brake pads. HP Plus uses Ferro-Carbon, high-tech friction material that results in lower wear rates and higher torque values than other materials. And don&apos;t forget the Quite Slot™ Hawk rotors. Because of their unique fomulation of premium alloys you can be assured of a superior performance product. Hawk Performance® Quiet Slot™ Hawk rotors have a unique slot design that improves your car&apos;s braking performance. The swirl ground surface improves brake pad bed-in. LMPerformance and Hawk Performance have the brake pad and rotor product to meet your performance car&apos;s needs. Check out our extensive listing of brake pads and rotors from Hawk Performance. The Carlisle Brake & Friction company, a leader in the high performance friction products arena, has eleven manufacturing facilities and a multiplicity of brands, one of which is HAWK PERFORMANCE, a preeminent manufacturer and distributor of extreme duty performance friction merchandise, and HAWK PERFORMANCE’s ability to utilize the decades of experience in designing and manufacturing friction material which a large company affords results in primo quality products for your car. As a testament to their ingenuity and sui generis products is the fact that they have been represented in more winning motorsports championships than any other manufacturer of these kinds of products. When it comes to braking you don’t want to make any mistakes or settle for less than the best whether for everyday driving or more adventurous driving like racing or rally and HAWK PERFORMANCE, with its reputation for quality is sure to fit the bill. 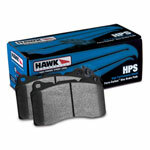 The HAWK HPS brake pads like the ones for your Camaro, Corvette. Mustang or Firebird and available on the LMPERFORMANCE web site, can increase your car’s ability to stop by as much as forty percent because of the exclusive Ferro-Carbon material used in the design of the brakes and as an added bonus less dust is generated and there is less brake-fade. The Performance Brake Pads by HAWK and available on the LMPERFORMANCE web site are another option for your Mustang or Impala, with the same unique Ferro-Carbon as the HPS mentioned earlier and improved stopping ability; additionally, their capacity to grip instantly because of their heat scorched layer makes them a wise choice for extreme street driving that also affords a comfortable drive under ordinary situations and they are very high torque and rotor favorable. There is a reason HAWK PERFORMANCE is represented the world over by an outstanding team of racers including professional drivers like the drivers in the Indy Car, IMSA, V8 Supercar Series and Off Road Desert Racing; but they don’t stop there because they are also represented by a multiplicity of local racers in a potpourri of racing situations because they create a product you can trust your life with. Check out our DBA Brakes here for more great products!